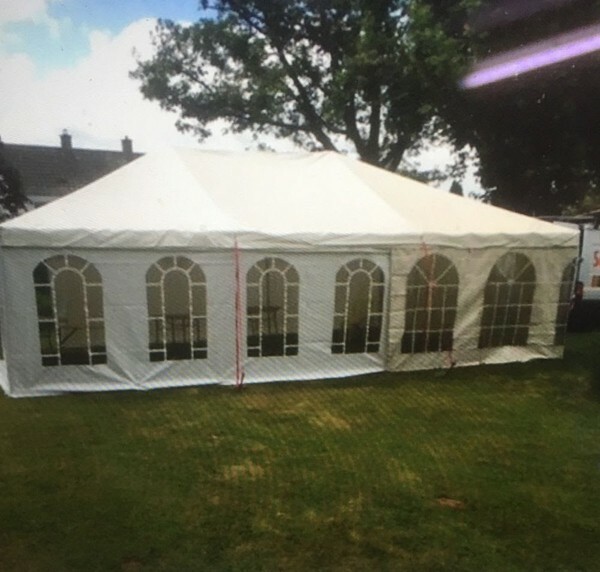 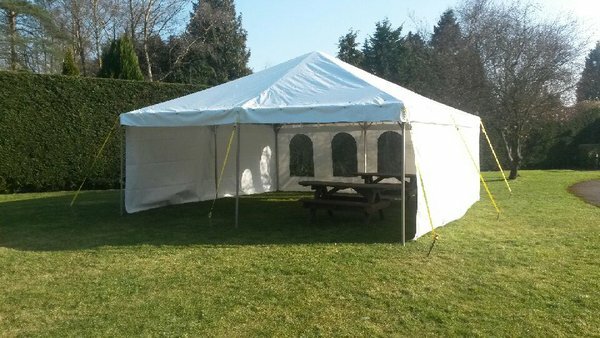 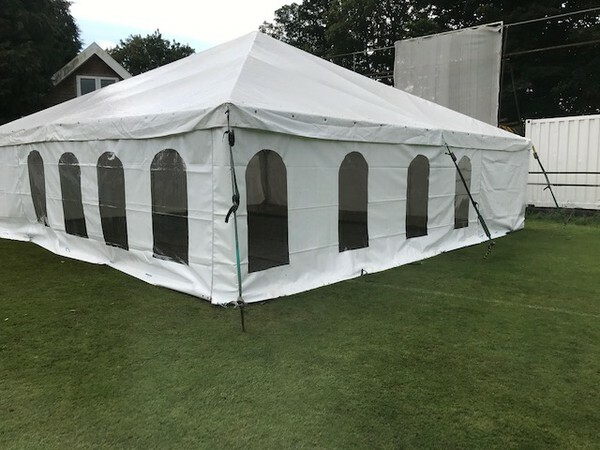 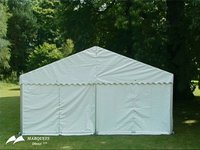 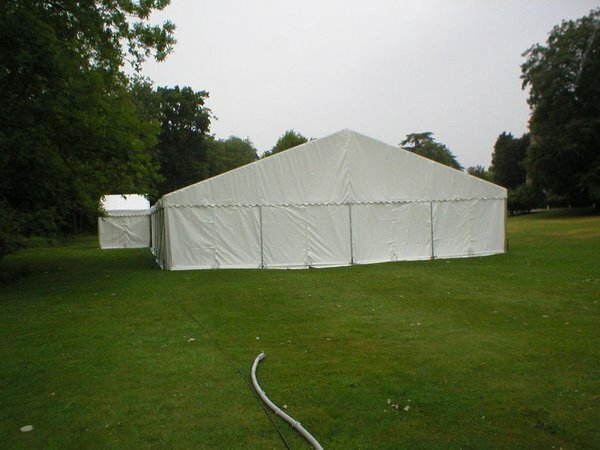 Four channel structure, made in the UK by Shield Marquee Manufacturing. 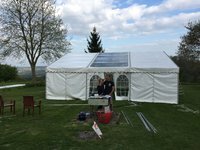 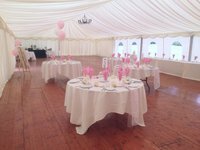 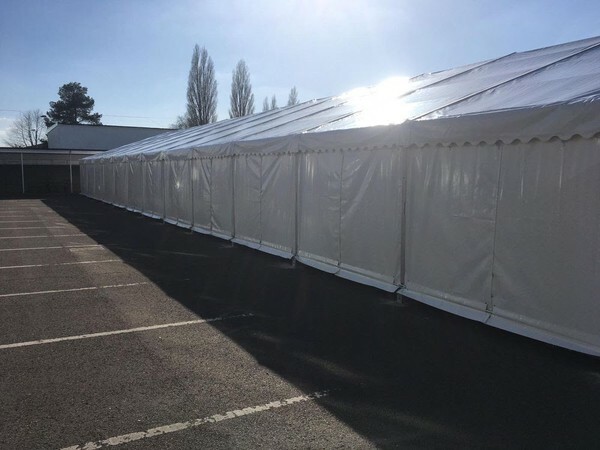 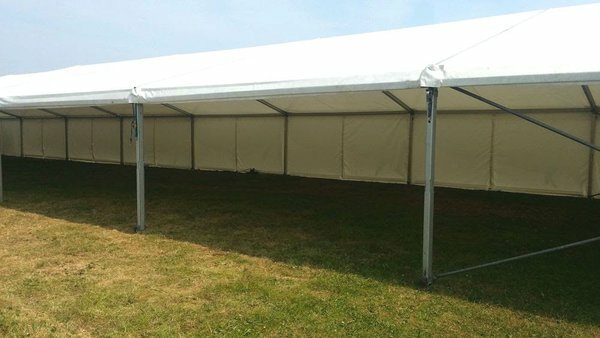 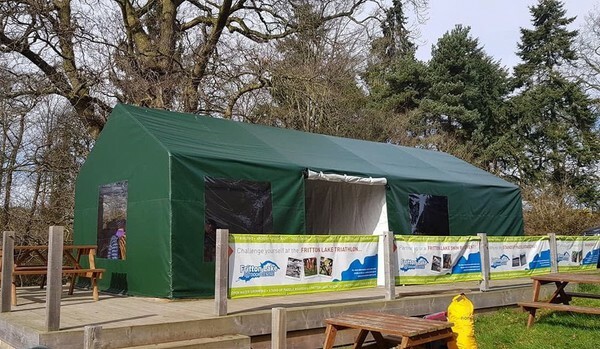 Fully compatible with other clearspan marquees suppliers. 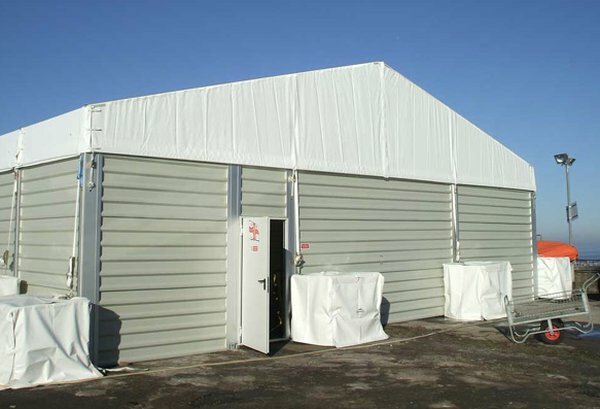 Commercial grade, low wick 650gsm PVC, bungee tensioned and scalloped roofs. 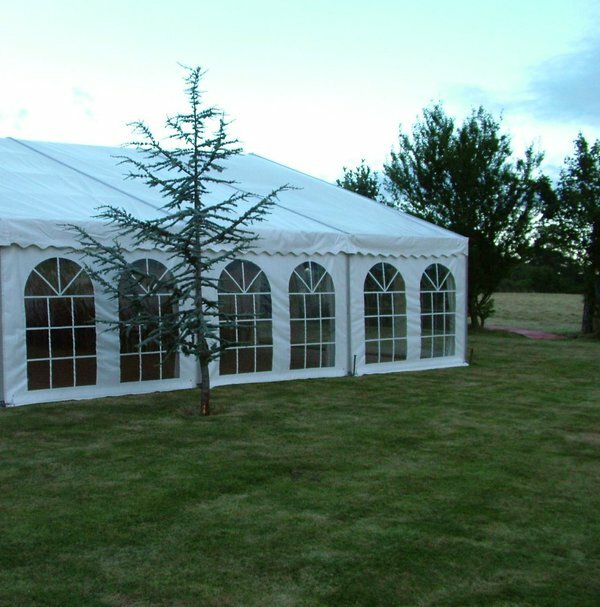 Custom covers / Tectonics Marquee, Ivory pleated linings and Dandy Dura natural fleck coconut matting. Equipment from hire stock in good condition. Custom covers / Tectonics Marquee, Ivory pleated linings and Dandy Dura natural fleck coconut matting. Equipment from hire stock in good condition. 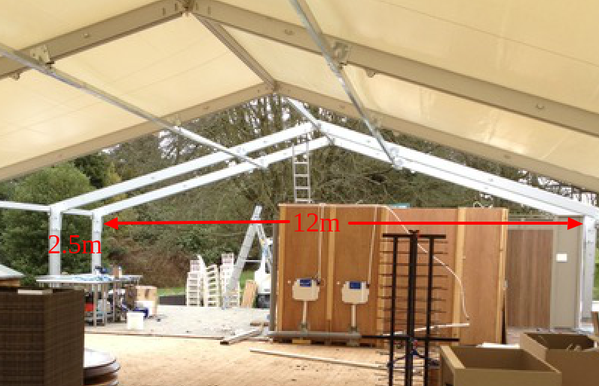 12m Extension Bay for thermo roof and standard roof. White 2.5m Thermo low inflation roof only used once. 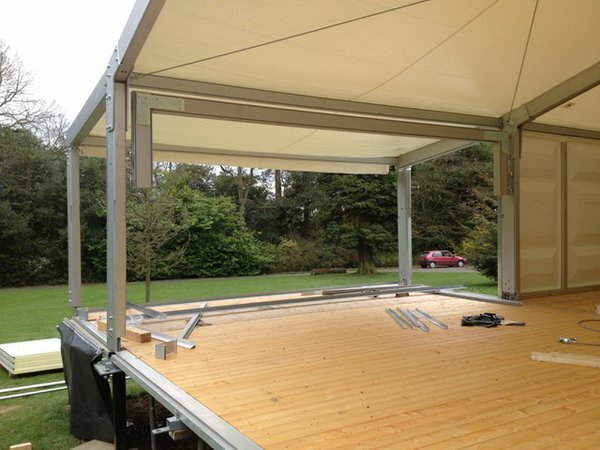 12m x 2.5m Steel Substructure floor system complete with larch timber floor. 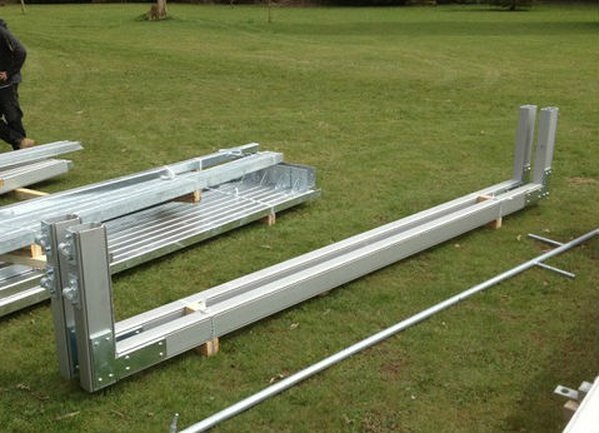 Great easy way to create a bar recess. 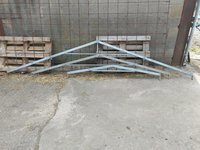 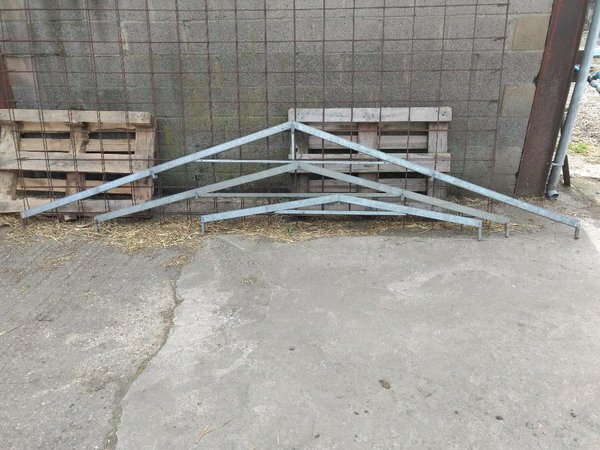 Good condition, both sets used once and barn stored since purchase last year( purchases secondhand 2017(2013model)).